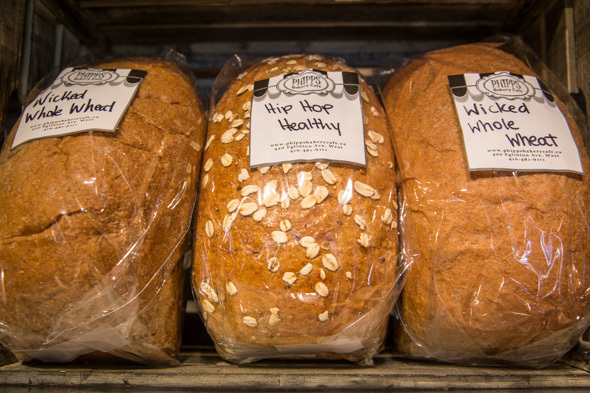 Phipps Bakery Cafe lets whimsy reign. 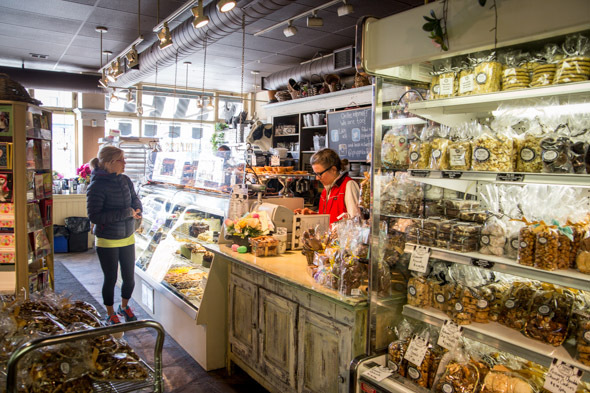 The Eglinton Ave. bakery bubbles over with a kind of frothy enthusiasm, from its curlicue-rod iron-front doors and French-style awning to the big baskets that spill over with cookies, candied nuts and meringues. 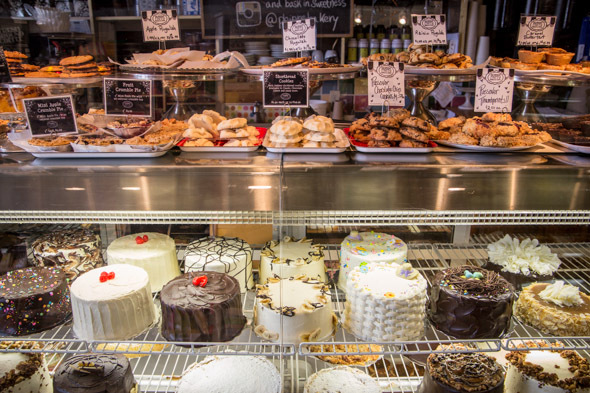 As you enter the shop you'll find a display case with beautiful cakes, tarts and cookies. 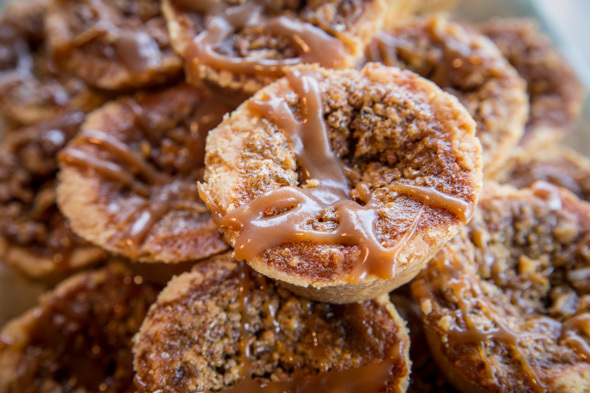 The caramel pecan butter tart looks especially good, rippled with caramel drizzle ($2.89). Shelves are stocked with cards and small gift items if you are looking for a present to go with a birthday cake. Past the giftware, there's a series of refrigerators full of take-home items. Trays of squares, including marshmallow chocolate, lemon, and apple cake flavours, run $11.99 for a tray. 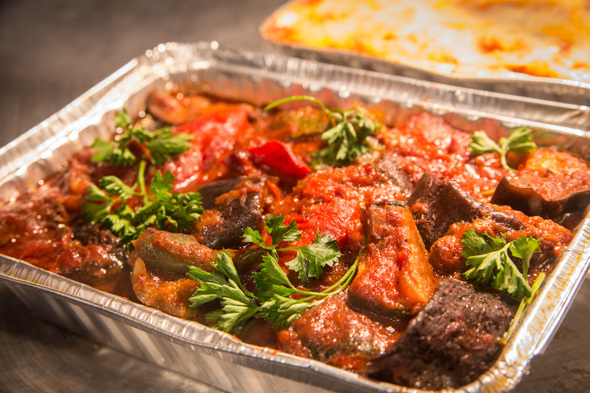 There are pies and cakes, as well as savoury casseroles and stews (lentil stew is $10.99). There's even ready-to-go pancake mix ($13.99) - what a great thing to take to the cottage or have for weekend visitors. Follow the stone path toward the back, and you'll find yourself in the cafe part of Phipps. There is a seating area with more rod-iron cafe chairs and tables set against a painted wall mural of the front of the cafe. 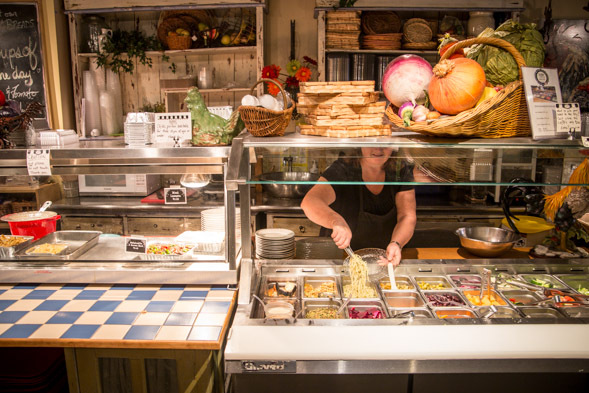 When I arrive, several families are enjoying late morning pastries and coffees, but before long the lunch rush fills in the empty seats, grabbing delicious looking stews and sandwiches from the cafe or helping themselves to the impressive salad bar. I sit down and enjoy ratatouille on brown rice, with big chunks of zucchini, peppers, eggplant and a rich tomato sauce. Everything is made in-house with obvious love. 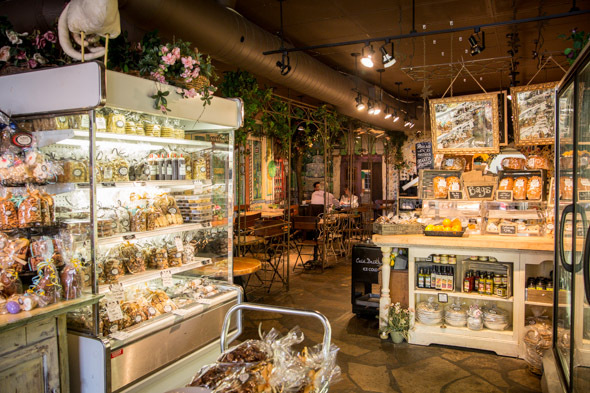 At the back cafe area you'll find their breads, croissants, and their muffins for $2.50 each. The cornmeal and blueberry muffins have many fans in the neighbourhood. Jewish favourites like their rugelach and challah ($5.99) are available all the time, but they also offer a Passover menu of baked goods and take-away items. 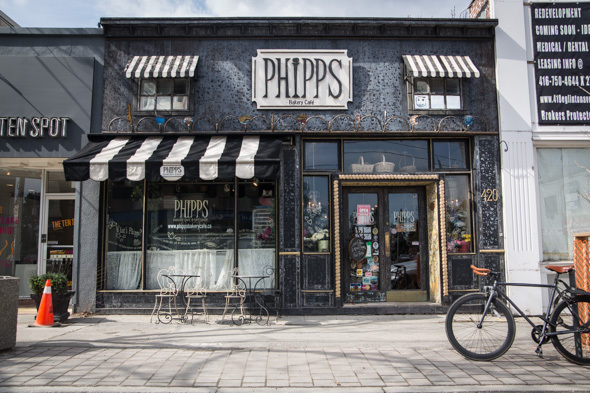 The Eglinton neighbourhood has embraced Phipps Bakery Cafe since the beginning, but anyone in Toronto would do well to make a visit.